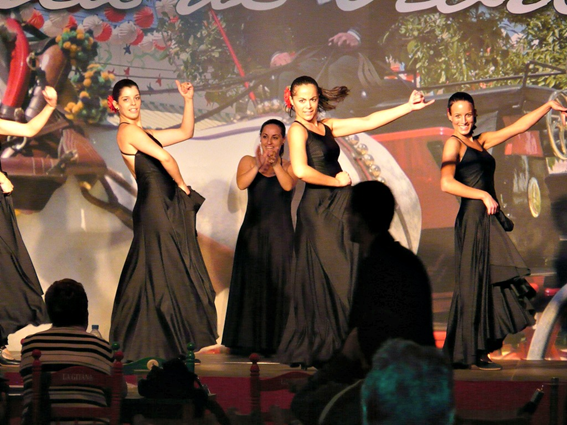 You might know about Seville’s infamous April Fair (Feria de abril de Sevilla) and its lively parties brimming with local sherry, traditional tapas and incredible flamenco dancing, but did you know that Barcelona hosts its very own version each year? The Barcelona Feria de abril de Cataluña takes place in 2016 from Friday, April 22nd to Sunday, May 1st and is something you definitely won’t want to miss out on if you’re lucky enough to be visiting the city during this special time. We wish you a lovely stay at our hotel for family in Barcelona. 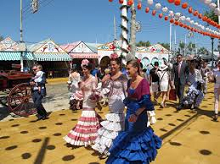 The colourful Barcelona fair is held at the Parc del Fòrum fairground and is structured in a very similar way to the iconic Seville fair. In one section you’ll find a huge Ferris wheel surrounded by fairground rides and attractions, ranging from the bright lights of bumper cars and small rollercoasters evoking exciting screams to the loud bangs of shooting galleries and smiling faces surrounding candy floss stalls. This is a great place for families with children of all ages to enjoy, as there is literally something to suit all age groups. Make sure you take time out for a ride on the Ferris wheel because you’ll have an amazing view of the city and the coastline from the top! The second section of the fair is dedicated to ‘casetas’ which literally translates into English as ‘small houses’, although the structures are actually marquee tents. 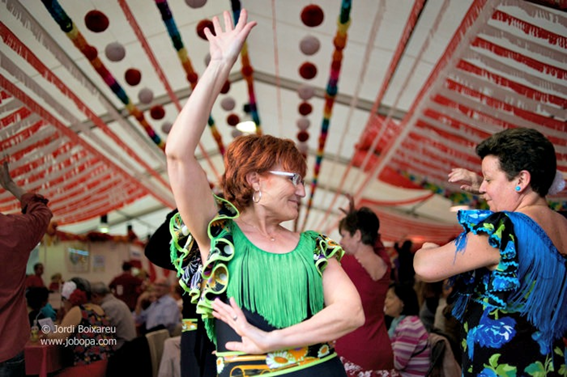 These 70 tents are each set up by a different local or national organisation and if you step inside any one, you’ll find a cheerful party in full swing, with locals and international visitors of all ages eating, drinking, singing and dancing together. The best place to be is inside the ‘Caseta de la Fecac’. This tent belongs to the organiser of the fair and is where you can enjoy free concerts and shows performed by some of Catalonia’s top singers and performers. The timetable for the events have yet to be confirmed but the following schedule can be used as a rough guide. 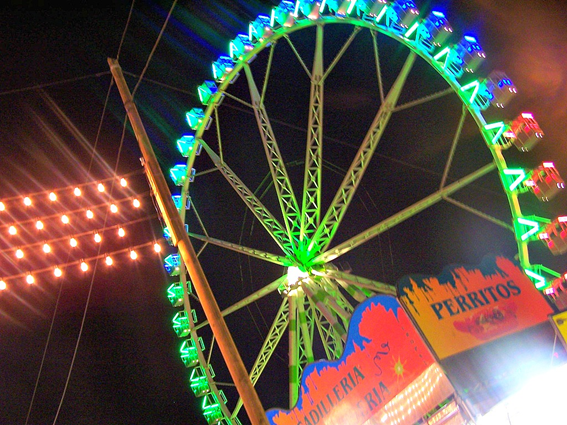 During the fair, events start early and go on well into the next morning. So if you don’t want to risk having to leave before the fun really starts, make sure everyone gets a peaceful siesta before you hit the fair!